For the love of retro golf shirts. Finding efficiencies through 3rd party fulfillment. 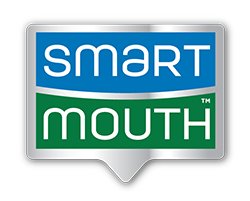 SmartMouth : Never have bad breath. “We successfully reduced time in transit and freight costs by utilizing DM Fulfillment’s full distribution network. Order volume has increased across all sales channels and we’re able to efficiently and effectively keep up with the demand of retail and eCommerce orders.” — Brent Dellay, Triumph Pharmaceuticals Inc.
Mojo : Maximizing the packing and travel experience. The Elephant Pants : Save elephants. Feel good. Luci Bags : Display bags, totes and accessories for women to showcase their favorite things. Bluff Works: American-made, sustainable, virtually-indestructible pants for active men. DM Fulfillment is a user of SPS Commerce’s cloud service to enable streamlined integrations with retailers and has allowed it to more fully embrace the demands of omnichannel that require error-free order processing, allowing it to retain a growing roster of retail customers.